In 2015, 13% of electricity generation in the US came from renewable energy like solar, wind, and hydro. That’s not exactly a promising stat for those in favour of alternative energy. But worldwide, things are changing quicker than you might realise. For example, Portugal ran on renewable energy for four days straight this year, and in May Germany produced so much renewable energy it paid people to use it. SolarCity CEO Lyndon Rive told Tech Insider he expects trends like this to continue and for adoption of renewables in the US to grow. “There’s no doubt in my mind that in our lifetime we will get rid of all fossil fuels. No doubt,” Rive told Tech Insider. According to Bloomberg’s New Energy Finance analysis, renewables will account for 44% of US power generation by the year 2040. Rive, though, is a little more optimistic and said he sees alternative energy accounting for 70% of power generated in the US in 30 years. In fact, in just three to five years, Rive predicts there will be a dramatic drop in power plants being built. The reduction in power plants will coincide with the falling price of solar, Rive said. 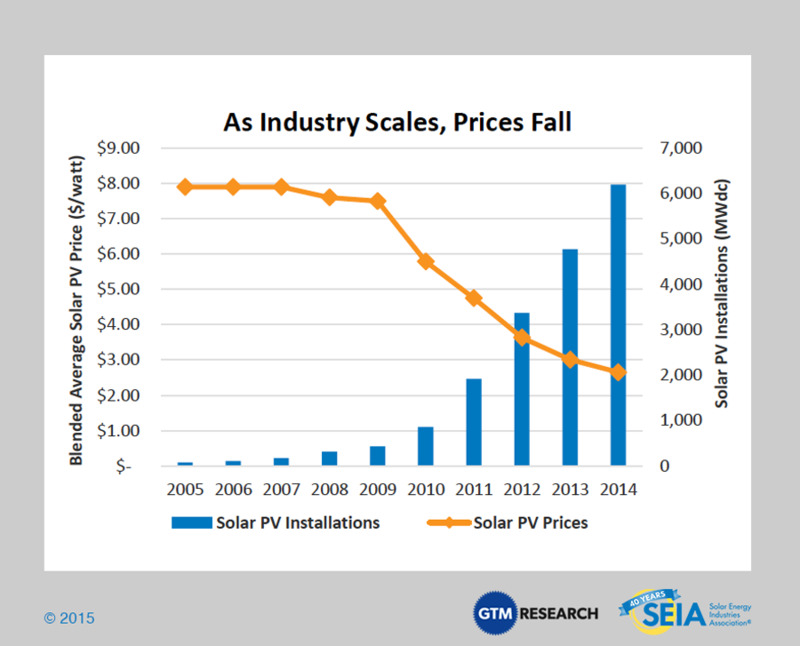 The cost of solar PV in the US has actually already fallen more than 50% during the last five years. He also said that the cost of at-home battery storage, which allows people to store solar energy to use later, is also bound to drop with so many companies investing in battery storage. Tesla, Daimler, and Nissan are already offering battery technology for the home, as are energy utilities like Con Ed. With those changes bound to happen within five years, we’ll see solar “adoption increasing dramatically” over time, Rive said. “We will absolutely get to point where we are not dependent on fossil fuel with a combination of wind, solar, hydro[power], and [energy] storage,” he said.